Top 3 Fundraising Prizes Comming Soon! No registration fee for firefighters from April 8th to April 21st at midnight Pacific Time. After the two week free registration period, the registration fee increases to $35. All participants are responsible for a $100 fundraising minimum. 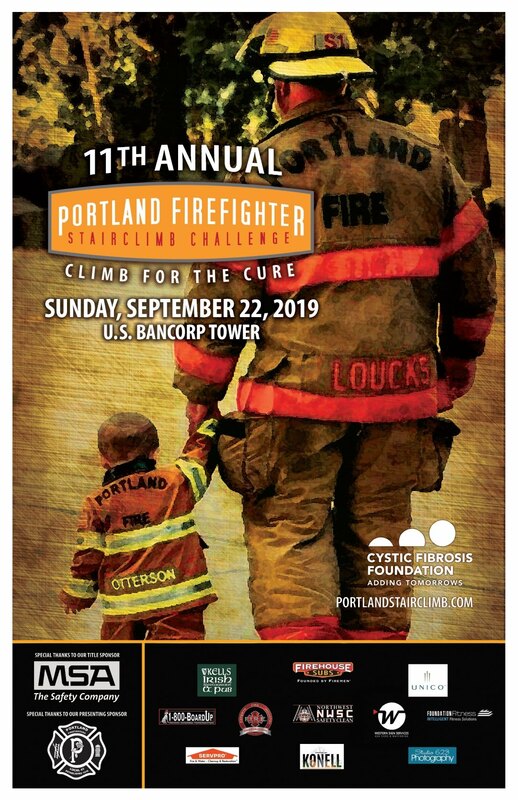 All participants who sign up for free during the first two weeks of the registration period will qualify to win a special edition 2019 Portland Firefighter Stairclimb commemorative leather helmet courtesy of MSA (example below). Note: Registration page is not active until April 8th! Most everyone affiliated with the stairclimb knew her as "Nana". She was a big supporter of the climb from day one as she was Carson & Brandon's great grandma. She will be missed by everyone. We will have a short tribute for her at this year's climb.